Aisling O’Mara created REBEL REBEL with collaborator Robbie O’Connor and director Louise Lowe in association with Anu. In this performance of Rebel Rebel, actor Aisling O’Mara will perform excerpts of this critically acclaimed touring production and the performance will also be followed by a post-show discussion. Looking at one of the central figures of the Easter Rising, Helena Molony. She was transformed from a bystander into a crucial participant in Irish history. Radical in her views and thinking, she was a woman ahead of her time. As an actor with the Abbey Theatre, she rehearsed for rebellion, carried out rebellion and suffered the consequences of her participation. 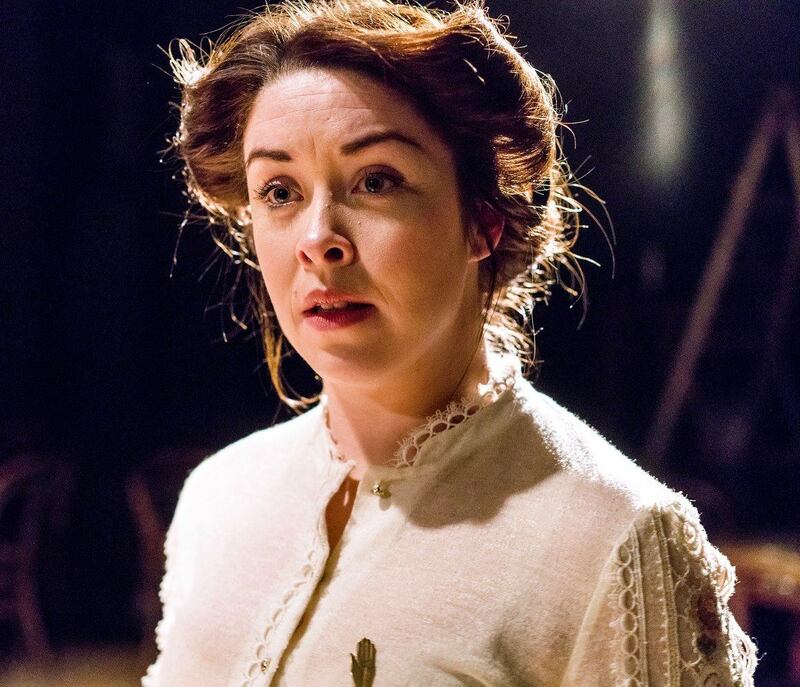 We meet Helena in her dressing room, preparing to go on stage once again as Cathleen in Yeats’ Cathleen Ni Houlihan, she summons her demons and the ghosts of that fateful Easter Monday when she took guns from under the Abbey stage and spilled revolution onto the streets. First produced by ANU in association with Irish Theatre Institute and Dublin Fringe Festival as part of Show in a Bag 2015. Photo Attached: Aisling O’Mara as Helena by Pat Redmond. Commissioned by RTE as part of their Reflecting the Rising programme. First produced by ANU in association with Irish Theatre Institute and Dublin Fringe Festival as part of Show in a Bag (Fishamble) 2015.